If you love to download music, videos or other content from the Internet, this article is going to tell you about the best download managers for your iPhone and iPad . These download manager apps would be very useful for your device to download important videos , songs or other files from the web. Check out these useful download managers on your iPhone or iPad. 1. eDl Free ( iPhone ) – One of the best download managers for iPhone users that can be used to manage your downloaded files easily on your iPhone. The app helps you download all types of supported files and it detects automatically downloadable files and lets you save them to your phone memory. If you are looking for fully functional all in one download manager app for your iPhone, try eDl Free on your device. The app is available free of cost on the Appstore, though you have to unlock purchase if you want to remove ads and use pro extension. Very useful app that comes with several features such as file manager, video & audio player, document viewer, pdf viewer , image editor and many other features. Recommended download manager for iPhone users. 2. 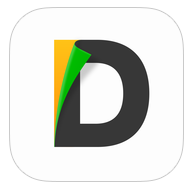 Documents 5 ( iPhone & iPad ) – If you are looking for free download manager for your iPhone or iPad, you must try Documents 5 on your iDevice. Documents 5 is a fully functional download manager app for iOS users that comes with many features and contains lots of useful options. The app lets you download and manage all types of files on your device. With the help of this app, you can easily read documents and download movies, songs, music or anything you want. One of the best download managers on the Appstore that also let you manage your files and save webpages for reading them later. 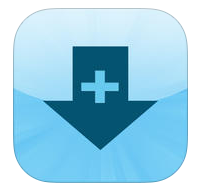 3. iDownload Plus Free ( iPhone & iPad ) – iDownload Plus Free is a great download manager that lets you download multiple files quickly on your iPhone or iPad and manage and play them easily. The app contains many features including video player, audio player, photo viewer , passcode locker and file manager with powerful search option. Great app for downloading files from the internet. 4. 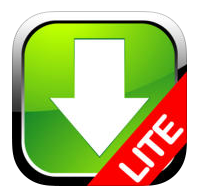 Downloads Lite ( iPhone ) – Downloads Lite is one of the best download managers on the Appstore which are available free of cost for iPhone and iPod users. If you love to download videos or music, you can use this app to download your favourite media files from the web. The app supports almost all types of files and comes with lots of features including a powerful and fully functional web browser. Download Lite includes various features such as password protection option, in-built web browser, download manager with fast downloading speed, file manager with document viewer and many other useful features.